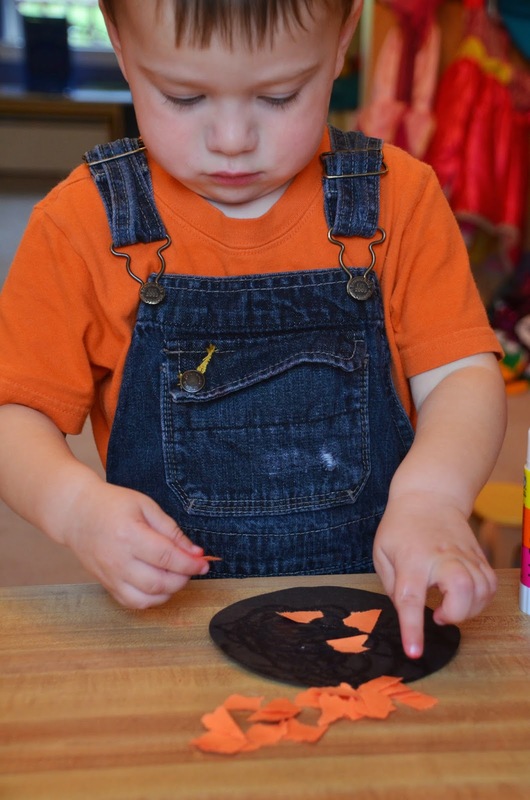 Let toddlers rip apart pieces of orange paper and glue them onto a black circle. Add wiggle eyes and a stem. 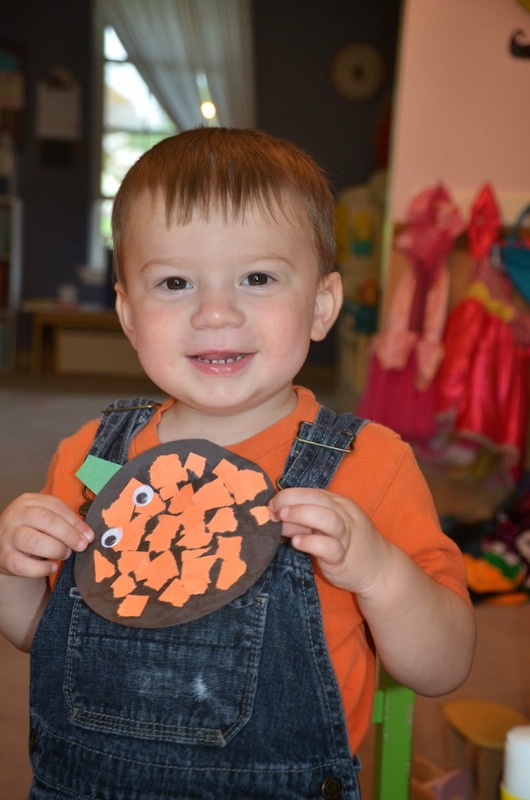 We used Legos to paint our pumpkins and then added a face.